We also watched THE 300 SPARTANS, believing it to be the last film by cinematographer-turned-director Rudolph Maté. It isn’t, but it’s a very late one, followed briskly by SEVEN SEAS TO CALAIS, ALIKI MY LOVE, and a massive coronary. I’d had quite good reports of SPARTANS via chum David Wingrove, who characterised it as an unusually literate and intelligent peplum. True — that doesn’t quite turn it into a wholly dignified, proper film — it’s still a peplum. But a peplum with pep. 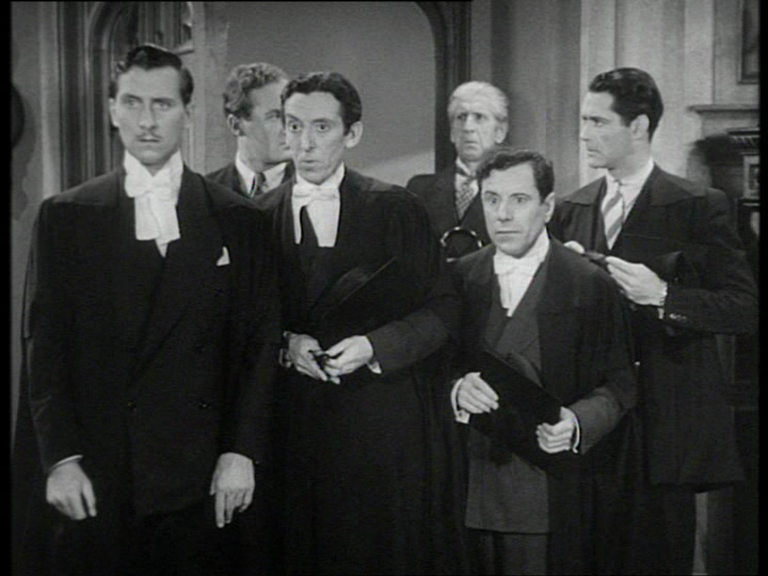 But anyway, he’s a decent pantomime villain here, and then there’s Ralph Richardson, who has evidently shot all his scenes in the studio, necessitating overdubs to explain why he’s somehow always indoors. After hearing Ralph debating Laurence Naismith (whose presence along with Kieron Moore and certain Greek locations gives it all a very Harryhausen feeling) it’s a shock to have yank Richard Egan dumped in our lap like a giant concrete bicep. But as the movie develops, you get used to him. I can’t say I ever worked up any kind of rapturous pleasure at his screen appearances, but I grew accustomed to his face, to the extend that I would have been sincerely sorry if, say, Donald Houston had bitten it off or something. The story itself is martial, stirring, hawkish stuff, but it slightly soft-pedals the brutality of the Spartans and does a goodish job of presenting them as characters we should support (although the emphasis on Persia being a “slave empire” is undercut by young Barry Coe, i think it is, promising to bring back a flock of Persian slaves for cutie Diane Baker. Face it, everyone in history is awful). The whole time I was watching, I was imagining little Frank Miller seeing this innocent, rather noble entertainment, which even manages a bit of emotion, as an awestruck kid, and then years later giving us his comic 300, and thence the movie 300, which dehumanizes, brutalizes and stupidifies the original on every level. The remake LOOKS nice, in its way, but it’s a horrible, fascistic, mean-spirited thing. A film for our times. In fact, I wouldn’t be surprised to see Zack Snyder becomes Trump’s Riefenstahl. DOCTOR ZHIVAGO always seemed boring on TV when I was a kid, and once it had started it never seemed to stop. But that’s because (a) it was pan-and-scanned into visual incoherence, losing the very qualities which redeem it and (b) it really is nearly three hours long. And never dull, actually, if you see it in the right shape. But not too involving, either, though my friend Morag is always terribly moved by the hero’s death scene. Watched it with Marvelous Mary, Nicola, Donald and Stuart, and we were all dry-eyed yet impressed. Stuart and I won a prize for a short film we made in 1990, and ZHIVAGO’s esteemed cinematographer, Freddie Young presented it. Stuart even had a brief conversation with the great man in the BAFTA men’s room, but alas can no longer recall the gist of it. He thinks it may have been a general reflection on the quality of the BAFTA men’s room. Whatever his merits as a conversationalist, Young was an outstanding cameraman and, after Nic Roeg was fired by a nervous David Lean (he had previously kicked Robert Krasker off GREAT EXPECTATIONS), he excelled himself here, aided by John Box’s meticulous and lavish reconstruction of Russia in Spain. Still, I think this is the beginning of Lean’s true decline — I find no fault with LAWRENCE, but I think Lean should probably have stopped working with Robert Bolt and Maurice Jarre immediately afterwards. Still, Jarre contributes that main theme, and Bolt does a decent job of shrinking down an unwieldy novel. What he can’t do is find a consistent and believable idiom for his characters to speak in (“The war’s over, daddy!” is the line that always forces an embarrassed guffaw from my lungs). He’s not helped by Lean’s wild casting, which asks us to accept Alec Guinness and Omar Sharif as half-brothers, and Rita Tushingham as the offspring of Sharif and Julie Christie. The styles of performance are also madly varied, with the Actors’ Studio jostling with the Rank Charm School, Royal Shakespeare Company with kitchen sink realists. Theoretically, this could all still gel, but it definitely doesn’t. Everything Lean does well in this film, he also does badly. Spielberg rhapsodizes over the musical edits, such as when a doctor tosses aside a slide, and the “ting!” it makes chimes with the bell of a tram in the next scene, but Lean also cuts from Rod Steiger pawing Julie Christie in a landau, to a dragoon captain shouting “Mount!” as a backside settles into a saddle. He jump-cuts with the aid of a zip-pan in the restaurant, as if he were directing The Man from UNCLE. Increasingly nervous about the thrilling experiments with film form going on in Europe, Lean would sway back and forth between unfelt, unwise attempts at experimentation, and ever-grander, more solemn and self-serious epic filmmaking. The latter style suits him better and he’s genuinely, uniquely good at it. It’s not to everyone’s taste, I know, but Lean had a feel for it. Kind of a flat composition, which is not an obvious choice if you’re aiming for epic scope. But the cross in the foreground gives it a huge and dramatic sense of depth. The funeral of Zhivago’s mother freaked me out as a kid — Lean fades up the sound of weeping women as the coffin lid is nailed shut, giving the scene the aspect of a premature burial. The shot of Mrs. Z. lying in her coffin, buried, seemingly the imaginative vision of her young son, is gorgeous and very scary. I think Steiger’s quite good in this. He excels at being loathsome. It helps that his character’s right about nearly everything. I’m pretty sure Lean is making a point about the objectification of women here. At any rate, Julie Christie’s dress is one of Fiona’s two favourite movie costumes, the other being Fenella Fielding’s velvet vamp outfit in CARRY ON SCREAMING. 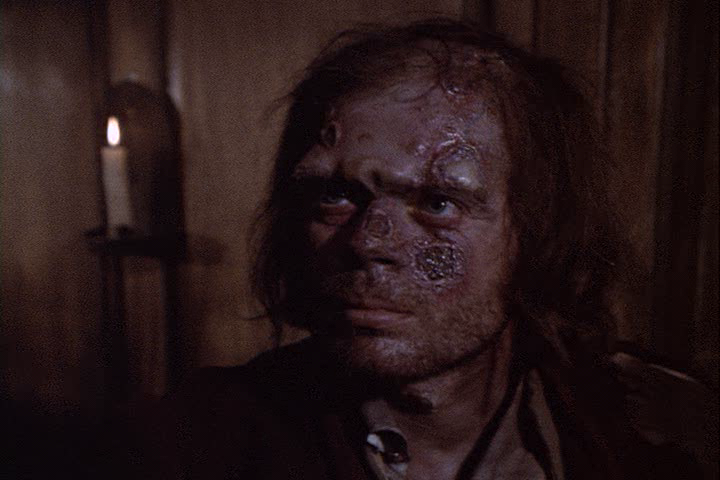 I do think it’s a problem when Klaus Kinski shows up, his brow a throbbing tracery (SCANNERS could have saved a fortune in effects by hiring him) — firstly, we have another accent to add to the already strange mix (though the IMDb claims the inescapable Robert Rietty revoiced the mellifluous Klaus), but also he’s so damned INTERESTING. I wanted the film to abandon poor Omar and Geraldine and just follow Klaus on his wacky adventures. Maybe he could get a dog and solve mysteries, or maybe he could set up business as a fake medium and fleece silly widows. Anything, really. Julie, though she’s been better in other things. Sometimes Lean seems to be stifling her spontaneity. Rita Tushingham. Her tears at her childhood memory of abandonment were the one bit that moved me, though I wasn’t sure the character should cry. Robert DeNiro, in an early interview, pointed out that people recounting traumatic memories most usually do it with no emotion at all, with a denial of the emotion. Tarek Sharif. The one good bit of family casting — Omar’s real son plays the young Omar. He seems to have been dubbed by a young Englishwoman, giving him a VILLAGE OF THE DAMNED quality, but I can live with it if he can. Tom Courtenay. 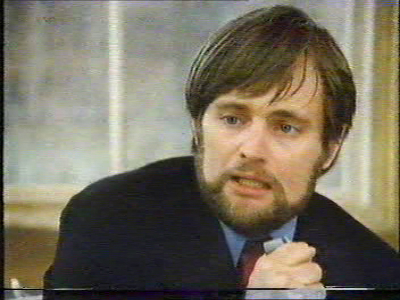 Typically a callow, likable actor, he plays shrill extremists here and in KING RAT. He’s quite good at it. Ralph Richardson. Always nice to have him around, of course, but he has simply nothing to play. Geraldine Chaplin. Potentially a more interesting actor than Julie Christie — look at her career — here, she’s purely boring in her nice pink hat, because her character is terribly, terribly dull. By avoiding being jealous she does defy the cliché, but she defies it in a way that lets the drama escape like leaking helium. Just wait for NASHVILLE, the rematch, though. Jack MacGowran. It’s not a proper MacGowran performance if you can understand more than one word in ten. Lean seems to have insisted on enunciation, an alien custom to the Great Garbler. Watching this with friends at home rather than on the big screen (I did have the pleasure once), you can’t escape the ridiculous plotting that has this rather small cast of characters forever bumping into one another by chance across the length and breadth of Russia. It seems like the book has even more of this. Nothing to be done. Looks like Bolt and Lean invented the scene which moved my friend Morag so much — one last chance encounter, and one last tram reference, isn’t going to do any harm, is it? Trams and trains haunt the narrative, perhaps because the human characters all seem to be gliding about on fixed rails too. I remember — that word! 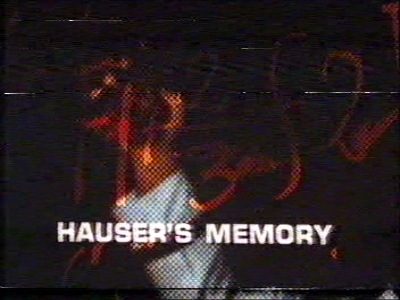 — TV play Hauser’s Memory coming on TV when I was a kid. I was interested because I had been a fan of David McCallum in The Invisible Man TV show in which he would disappear and somehow the back of his polo-neck would disappear with him. Maybe it was backless. So, here was another science fiction thing with the Greatest Living Scotsman! But there wasn’t much for a little kid in this dour drama about loss of personhood, death, castration and political exploitation and personal betrayal. The only thing I committed to memory were the opening credits, which I remembered as the closing credits, which is apt, because the credits sort of loop back from the last scene to create a perfect Moebius strip. If we’d had a video recorder in the seventies I might still be watching it. The Americans (led by LESLIE NIELSEN as SLAUGHTER) and the Russians both want the formula the deceased physicist was working on at the time of his demise. The hope is that McCallum will remember it. But he begins to remember much more, and the mystery of his memory-donor’s life starts coming into focus. But the late Hauser has needs of his own — he wants to make his peace with his loved ones (including widow Lilli Palmer) and avenge himself upon a Nazi persecutor. Seeking to achieve closure in his life, Hauser begins to take over McCallum’s brain, so it becomes a horrifying drama of loss of personality, the sense of no longer being who you are supposed to be. Weirdly enough, we can relate to this. It’s this aspect of the story that allows McCallum to turn in a moving performance that really should have won him awards. 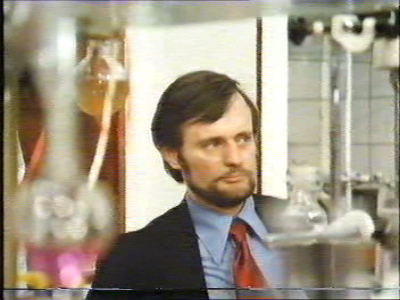 He has to play a Jewish biochemist and a German physicist and sometimes both at once or one pretending to be the other (the late Hauser proves to be a shrewd manipulator to further his own agenda). Boris Sagal (THE OMEGA MAN, another candidate for 70s SF Week) directs, sometimes badly, but the psychedelic editing is quite good — it really would take a Resnais or Roeg to do justice to this idea, but the flash-cutting and fisheye POV shots are pretty effective. Susan Strasberg has a slightly thankless role as Mrs McCallum, Robert Webber gives it the crowning TV movie touch and says “baby” a lot. McCallum has memory trouble again in the Christopher Isherwood/Don Bachardy-scripted Frankenstein: The True Story. Fiona and I both saw this as kids. 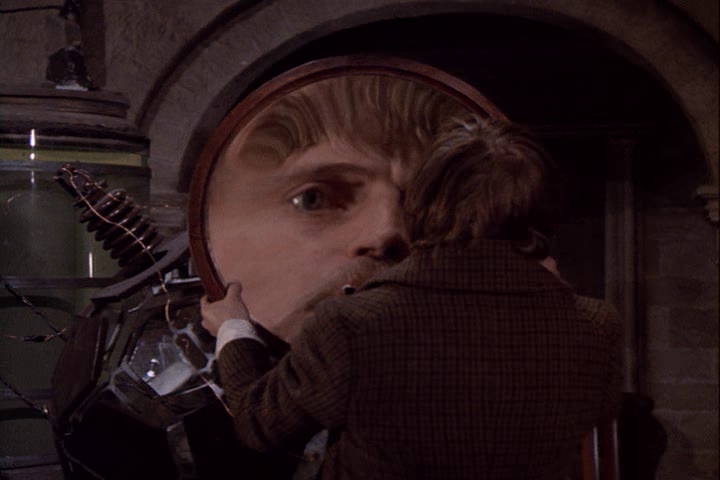 From Invisible Man to sub-Donovan’s Brain guy to a subsidiary monster-maker in this, David McCallum had quite a psychotronic decade (and there was still Sapphire & Steel to come). Slightly de-gayed by TVexecs, the two-parter is still provocative. The film still makes much of the attraction between creator and creature, understandable since Leonard Whiting is Frankenstein and Michael Sarrazin is his handiwork, and taking its cue from James Whale’s monster duology, the film contrasts the appeal of a respectable marriage with the frisson of playing in God’s domain with a male friend. Unlike the Branagh, this has sufficient run-time to explore the story in depth, and invents the new notion of a handsome creation who only gradually deteriorates into scabby monstrosity pockmarked with syphilitic gumma — his rejection by his father thus becomes a bit like an aging lover getting the heave-ho when his youthful bloom fades. Whale’s version transposed the first names of Victor Frankenstein and the stolid Henri Clerval, who became slightly caddish Victor Moritz. This movie transposes the characters, so that Clerval (McCallum) is much more passionate about creating life than Frankenstein is, at first. Rude, sodden, sporting an anachronistic moptop and saying things like “yeah”, McCallum’s Clerval is a hell of a lot more fun than Whiting’s pallid Daniel Radcliffe act. When he dies, it’s a loss to the film, but his brain gets transplanted into the monster so that occasionally his voice echoes out of Sarrazin’s fleshy lips — he even gets the last line (and laugh). Isherwood and Bacardy have cheekily plundered the Universal classics while claiming to honour Mary Shelley’s original, so we get the blind man, and James Mason as a fruity Dr. Polidori, very much inspired by Ernest Thesiger’s immortal Pretorius, but with crippled hands, a touch pilfered from Hammer’s Peter Cushing vehicles.